It was at age 14 that Julio Jimenez took interest in art to complete school credit. Unbeknownst to him, that art class would be the turning point in his life in which art would become part of his essence. As fate would have it, he met and then befriended Burbank's well-known street painter and artist, Randall Williams when he visited Williams' studio to have one of his drawings framed. 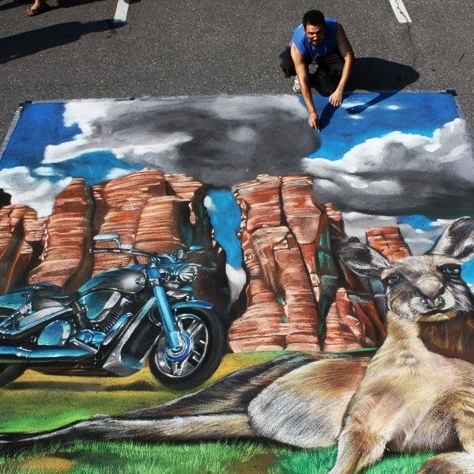 After viewing Jimenez's talents on paper, Williams encouraged him to exercise his talent by introducing him to an advanced level of artistry using chalk as a medium for creating street paintings. Since then, chalk has been Jimenez's preferred medium. He quickly began to receive much attention, commission requests from local businesses and advertising agencies and awards. 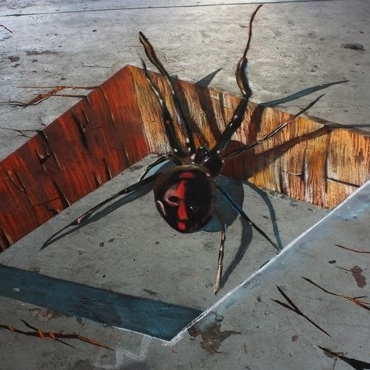 Nearing his graduation from the Art Institute of California-Los Angeles, where he received his Bachelor's degree in Media Arts and Animation (2006), he continued to pursue the chalk medium by participating in as many street painting circuits throughout Southern California as possible. At the Art Institute of CA-LA, he learned computer programs that assist him with previewing his ideal blueprints for his upcoming street paintings. 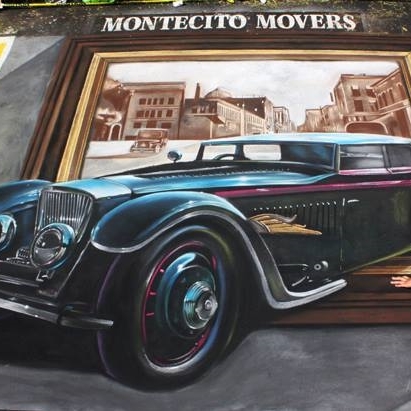 Julio Jimenez has been Street Painting since 2005 and has accumulated an electric portfolio of over 200 pieces: drawing automobiles, to anatomy, to buildings, to renditions of masterpieces, to 3D anamorphic, to food, to animals etc. participating in festivals, corporate gigs, city events in the US and around the world.